The last time Chelsea played out a goalless draw at home to Arsenal was back in Jose Mourinho’s first year in charge at Stamford Bridge. The fixture has since been dominated by the Blues who have won eight times and losing only twice. Therefore, it was a surprise for everyone to see Arsenal outperform Chelsea in a Premier League match at Stamford Bridge since Robin van Persie’s inspired performance gave them a 5-3 victory back in 2011. When Shkodran Mustafi leapt to head Granit Xhaka’s free-kick in the 75th minute, it looked like Arsenal may have finally notched a well-deserved win at Stamford Bridge for the first time since. Since that sunny day in October, Arsenal have lost five matches away at Chelsea with an aggregate score-line of 15-2 which includes a 6-0 thrashing in Arsene Wenger’s 1000th match in charge of Arsenal. However, the flag went up on the far side, much to the dismay of Mustafi and the lone Arsenal pitch invader. To say that the Gunners deserved a point is an understatement given the fact that they restricted the Premier League champions to a solitary goal-scoring opportunity when Pedro raced on to Cesc Fabregas’ through ball only to see his shot saved by the magnificent Petr Cech. 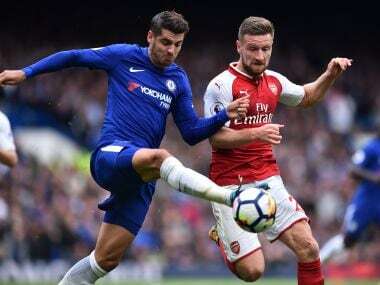 The defensive trio of Nacho Monreal, Mustafi and Laurent Koscielny were solid with Mustafi charged with the task of keeping the in-form Alvaro Morata in check. 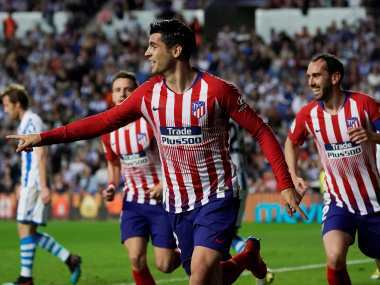 The German outmuscled the Spaniard so much so that towards the end of his stay on the pitch, Morata had picked up a yellow for protesting a foul on Mustafi. What is perplexing perhaps is that Wenger was open for a loan deal in the summer which would have seen Mustafi move to Inter Milan. Ironically, it was a setting perfect for Diego Costa who would’ve relished having a go at the Arsenal back three. Barring a chance from an offside position, Morata barely got a sniff of the ball in an attacking position. With Hector Bellerin and Sead Kolasinac dominating the wings, Morata, who has scored only from headers since signing for Chelsea, was starved of chances. Fabregas, the main creator for Chelsea, was often harried and closed down quickly in possession by the often lampooned Arsenal duo of Aaron Ramsey and Granit Xhaka to provide the killer pass for his countryman. This was the kind of defensive solidity that has been missing at Arsenal for the past decade or so. For all the creative interplay between Arsenal’s attackers over the years, their defence has been porous, to say the least. Apart from the opening 15 minutes, Arsenal dominated the match and created more chances than Antonio Conte’s men. Ramsey and Xhaka came into the game after the initial Chelsea flurry and bossed the midfield. They were helped by the fact that Conte, in a puzzling move, had opted to pair N’Golo Kante with Cesc Fabregas instead of Tiemoue Bakayoko. The former Monaco man had started on the bench for the Champions League fixture against Qarabag and with Conte emphasising the importance of rotating his squad, Bakayoko was thought to be rested for the derby. Ramsey almost got the breakthrough for Arsenal after his dinked shot hit the post following a clever little run into the box. With the Welshman and Xhaka dominating the Franco-Spanish pair, Conte had to introduce Bakayoko after the first 45 to exert some control over the midfield. However, arguably the most important factor to consider in Arsenal’s strong show was the absence of Mesut Ozil. 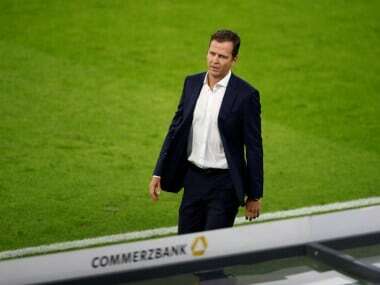 The German is one of the best creative players in the league and his vision and skill on the ball is eye-catching. Ozil has had a hand in 65 goals for Arsenal in 120 appearances since joining from Real Madrid 4 years ago. However, his record against the top teams in England and Europe is sub-par. 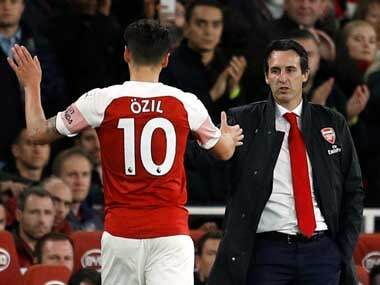 He has been criticised for under-performing against the big teams and is often a luxury Arsenal can do well without in those games as proven in Sunday’s match. In Ozil’s absence, Alex Iwobi and Danny Welbeck flourished. The pair were quick to close down when the Chelsea defence had the ball and had a better link-up play with Bellerin and Kolasinac on the wings. It was then cruel for Welbeck to limp off after injuring his groin, particularly since he had stitched together a decent run of games in his injury-plagued Arsenal career. With Welbeck out injured, Sanchez will naturally replace him but it is important that Iwobi gets a look-in after his performance at the Bridge. 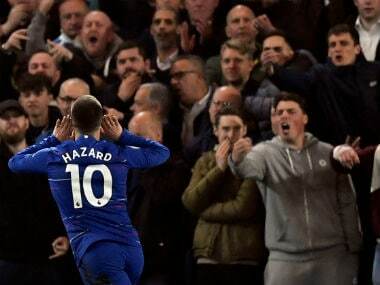 While many had predicted Chelsea to notch up a routine victory against Arsenal at home, the Gunners’ resolute display against Chelsea proves that Arsenal have it in them to hold the fort when the big teams come calling.